Dr. Debra Alavi has been in orthodontic practice since 1982. She received both her Doctorate Degree in Dentistry and Masters Degree in Orthodontics from University of Illinois College of Dentistry. Her research focused on dental and facial asymmetries. She also holds a graduate degree from Northern Illinois University and prior to attending dental college she practiced as a certified radiologic technologist at UIC Hospital. Dr. Alavi has been published in the American Journal of Orthodontics and Dentofacial Orthopedics and has received an award for exceptional achievement in the field of Orthodontics. She is experienced in interceptive treatment, functional appliances and Invisalign and traditional braces. Her practice philosophy is to provide quality care that best addresses patients’ needs in a conservative manner. She has two adult sons and her hobbies include outdoor activities, art, and writing. Dr. Baima is a native of Northern Wisconsin and a 1975 graduate of Marquette University School of Dentistry in Milwaukee, WI, where he received his Doctorate of Dental Surgery (D.D.S.). After two years in private general practice Dr. Baima decided to pursue an advanced level of dental education. He completed the Specialty Residency of Periodontology Program at the Medical College of Virginia in Richmond, VA and graduated with an advanced degree in the specialty of Periodontics. He subsequently completed advanced training in Prosthodontics and Dental Implantlogy at the UCLA Medical Center and Veterans Administration Medical Center in Los Angeles, CA. In addition to a continuous career in private practice, Dr. Baima has spent over 25 years actively contributing and participating within the academic world of dentistry. He is a Diplomate of the American Board of Periodontology as well as a Diplomate of the American Board of Prosthodontics. 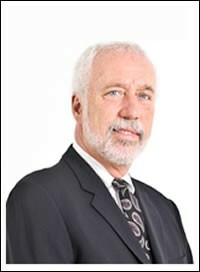 He has presented over 260 formal academic lectures and presentations at various local, state, national and international dental conventions/seminars and one life experience lecture (repeated several times) entitled “Life as a Hostage During Iraq’s Occupation of Kuwait” (Where Dr. Baima actually was held as a hostage) to the Los Angeles Rotary Club. He has had peer reviewed academic articles published in the Journal of Prosthodontics Dentistry, Journal of Prosthodontics, Journal of the Michigan Dental Association and Implant Dentistry. He has written several chapters in the textbook Contemporary Fixed Prosthodontics published by C.V. Mosby Company. Dr. Baima has held academic appointments at the Medical College of Virginia, Virginia Commonwealth, University School of Dentistry, Marquette University School of Dentistry, Milwaukee, WI, UCLA School of Dentistry, Los Angeles, CA, University Medicine and Dentistry of New Jersey, New Jersey Dental School, Loyola University School of Dentistry; Maywood, IL, Veteran Administration Medical Center, Los Angeles, CA and is a tenured Adjunct Professor at the University of Detroit Mercy School of Dentistry, Detroit, MI. Besides pursuing excellence in academic activities and private practice endeavors, Dr. Baima has also found time to marry and raise a family. Catherine, his wife of 24 years has also pursued her own academic interest (PhD in Eduction), and is the Director of the Chicago Language Center at the University of Chicago. They; have two very active college-aged children, a boy and a girl and they enjoy traveling extensively during their down time. Dr Cristina Olarov received her post-doctorate specialty training in Endodontics at University of Illinois at Chicago, College of Dentistry. Born in Romania, she received her DDS degree from the University of Medicine and Pharmacy’s College of Dentistry in the city of Timisoara, Romania. After completing one year of OMFS internship and two years of General Practice Residency in her home city, Timisoara, she followed her husband to the United Stated. Dr Olarov completed two years of Advance Standing Degree Program/International Dentist Program at University of Illinois at Chicago, and then worked as a general dentist in a private office in Oak Lawn, Illinois. After completion of the International Dentist Program at UIC- COD, Dr Cristina Olarov was elected a member of Sigma chapter Omicron Kappa Upsilon (OKU), , the national dental honor society. 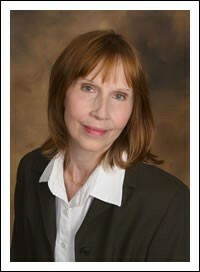 Also, she was the 2010 recipient of “Dr Robert Savage Award” and “Astra Implant Award”. Dr Cristina Olarov is a Board Eligible Candidate of the American Board of Endodontics, and hopes to become Board Certified diplomat in the near future. She is a member of the American Association of Endodontics, American Dental Association, Illinois State Dental Society and Chicago Dental Society. In addition to her clinical engagement, Dr Cristina Olarov volunteers as a Clinical Assistant Professor in the Department of Endodontics at College of Dentistry, University Of Illinois at Chicago. 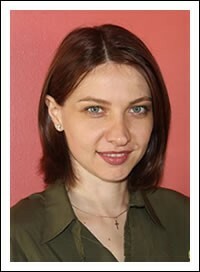 Dr Olarov lives in Naperville, Illinois with her husband and two daughters. She enjoys spending time with her family, reading, and listening classical music.